The tick-tock of a metronome has long been used by pianists while practicing their craft. Research now suggests that students with learning differences who “stay on beat” can increase their focus, mental processing and cognitive abilities. U snooze and you lose. I had received an advanced copy of Sebastian Seung's Connectome and had hoped to make one of the first book review posts about it. I simply could not find time to read it fast enough and the professionals have already weighed in on the book...so you might as well read their reviews. I have a few minor comments. I agree with the review in the Wall Street Journal review that this may be one of the best written books on the basics of brain science. Keeping up with contemporary neuroscience and placing it in the context of what I learned during my training and professional experiences has been hard. As I read some of the material that I consider "review" I realized that it was not just a review for me, but it helped my mind see the forrest-from-the-trees re: the neuroscience knowledge I had accumulated---but had not taken time to distill. It is a very good introductory book for the educated lay public on brain science and a nice "organizing review" for professionals. Another review, which is more an excerpt of of the essence of the book is now also available at the brain fitness heart of the internet--SharpBrains. At the core of the IM intervention technology is a precise measurement system. To users and clinicians the IM measurement system is transparent. Yet, without the valid and precise measurement system, IM would not work. As an applied intelligence test developer (click here), I have been intrigued by the underlying precise millisecond-based measurement system which is the heart of IM technology. IM technology would not work if the underlying measurement system could not reliably measure differences in synchronized metronome tapping between individuals and changes within the same individual over repeated sessions. Clapping to a bell? …That sounds ­boring. How is this going to actually help my child? This is a question that I hear from many parents as I try to explain to them what IM is and how it works to make changes in the brain’s mesh of neurological connections. “I don’t think my child would do that for a whole hour” or “I think you are going to lose them during the session” are common responses, and there is always the “My child already knows how to clap, so how would this ever help them? These are actually all really good statements, and a parent should never hesitate to ask what it is that we are doing and why we think it will help. Brain or neural efficiency: Is it quickness or timing? It is time I return to where I first started the description of my journeyto understand Interactive Metronome (IM) and the human brain clock. 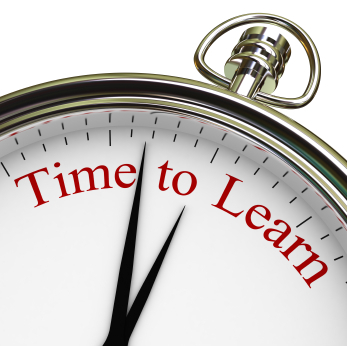 To recap, I firstbecame interested in the human brain clock after consulting on a school-based IM intervention study that produced positive results. 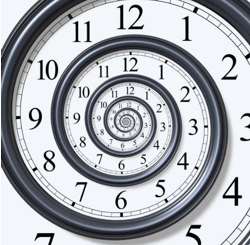 Next, I reviewed research and theory that suggested that for a brain-clock based intervention (IM) to work across multiple human performance domains, the technology must be modifying some form of jack-of-all-trades central brain mechanism. I subsequently was excited to discover research that suggested that the human brain clock could be fine-tunedvia non-drug interventions. Finally, it was the research discovery described below that sealed my fate as a scholar interested in the applied potential of brain-clock based neurotechnology interventions. Is there similarity between the attentional focus required during IM-Home training and that attained by experienced meditators? Emerging scientific evidence suggests the answer is "yes." Man has always known that the brain is the center of human behavior. 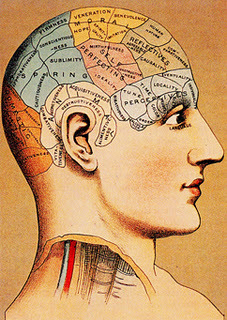 Early attempts at understanding which locations in the brain controlled different functions were non-scientific and included such practices asphrenology. This pseudoscience believed that by feeling the bumps of a person’s head it was possible to draw conclusions about specific brain functions and traits of the person. Eventually brain science revealed that different regions of the brain where specialized for different specific cognitive processes (but it was not related to the phrenological brain bump maps). This has been called the modular or functional specialization view of the brain, which is grounded in the conclusion that different brain areas acted more-or-less as independent mechanisms for completing specific cognitive functions. My personal and professional experience and task analysis of IM-Home: Focus and controlled attention. I am departing from my original plan for this post, as I want to share my personal experience with IM-Home to date. I have completed my 16th session and have been task analyzing the demands of the IM. My first conclusion is that IM is challenging! 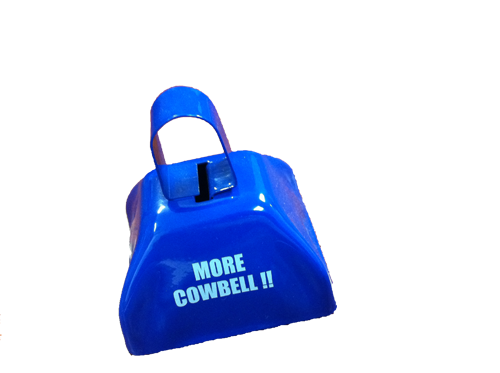 When I tell others that I am using a high-tech "clapping" machine that uses a cowbell sound, I am typically greeted with skepticism, much like my original skepticism. It sounds simple and easy. Trust me--it is a very cognitively demanding therapy.